We are proud to inform that our company gain next award in plebiscite “Golden Hundred of Pomerania and Kujawy” organised by “Gazeta Pomorska”. The offical ceremony took place in Opera Nova, Bydgoszcz, 21th may 2018r. PIXEL president, Leszek Cyrankowski received two awards. 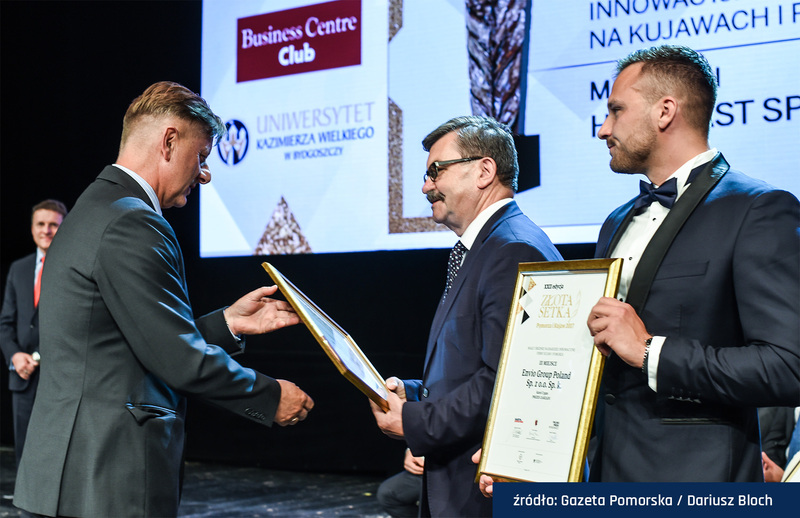 The first one in category “The best medium companies in terms of financial results” and the next “Small and medium-sized most innovative companies in Kujawy and Pomerania”. We would like to thank the Jury and Gazeta Pomorska for appreciation our hard work. Other companies from our region, whose results have also been appreciated, warmly congratulate you and hope to see you next year!